4 Super Smart Kitchen Remodeling Strategies - C.C. Dietz, Inc. Consider using these strategies when you’re remodeling your kitchen. Kitchens are the main hub for modern life at home. In fact, it’s no surprise that homeowners are spending more money on their kitchen remodeling projects. Completing a kitchen renovation comes with adding some incredible value to your home. As a result, here are some incredible strategies that you can use to really get the most out of your investment and help make you the best remodeling choices to really reap the benefits! There is nothing better than having a plan when it comes to your kitchen remodel. In fact, the process should always take longer than the actual construction. There is always a ton to consider when it comes to a kitchen remodel. Kitchen remodeling can be stressful and overwhelming. That is why having a proper plan in place is necessary. Having the help of a professional is essential to ensure that the process is as smooth as possible. 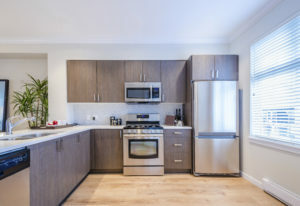 The one thing that is very important for any homeowner who is considering a kitchen remodel is to understand that keeping costs down is important. In fact, having a solid budget in mind when it comes to maintaining your sanity during a kitchen remodel. While you may want to move the kitchen sink to a new location to make things easier, you might want to consider the costs associated with such a large job. There is nothing more precious to a homeowner that storage- even more so than space. In fact, having kitchen cabinets that work for your essential needs is the best way to make the most out of the entire kitchen remodel. The last thing to consider when undergoing a kitchen remodel is the lighting throughout the space. In fact, lighting can really make the world of a difference when it comes to the perfect kitchen design. This entry was posted on Monday, November 26th, 2018	at 4:39 pm	and is filed under Kitchen Remodeling . You can follow any responses to this entry through the RSS 2.0 feed. Both comments and pings are currently closed.